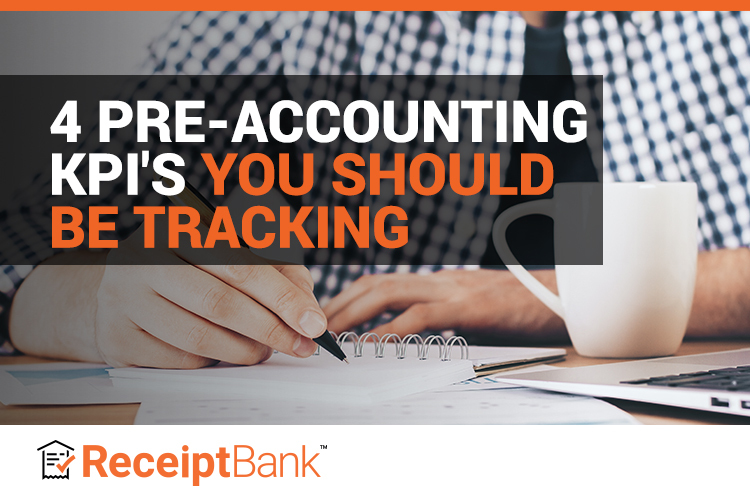 We know that pre-accounting has a paper problem, but we also know that paperless pre-accounting has big rewards. To make sure you’re getting the most out of your transformation, you need to measure the impact. That’s where KPIs come in. Here’s what you need to be tracking to make the most of the tools available to your firm. First, agree on a how you’re going to implement your new system, and track that each step has been completed before you press ‘go’ with the client. Also, make sure the client gets proper hands-on training in using any mobile apps and OCR software that’s needed to get the key data and paper documents into your digital systems, such as Receipt Bank. An important consideration is to start small – if you try and transition all of your clients at once, you’re likely to miss key steps. One approach is to track improvements on a firm-wide level, such as aiming to have 10% of all items submitted via the Receipt Bank mobile app in month one, and increasing the targets thereafter. Setting metrics to track how well you’re meeting the agreed SLA (more on that here) and timelines. Following these KPIs in your reporting and performance dashboards so you can measure efficiency over time and aim to push your performance. Requesting client feedback that can drive KPIs around customer satisfaction. Client Delay: How long do your clients wait before sending you their bookkeeping paperwork? Receipt Bank’s data shows that clients who submit using a mobile app submit their items in 1/4 of the time as those who send in paper items. That means you can get to work analyzing the data much quicker than before. Processing Times: Once you have the items, how long does your team take to process the data and enter it into the books? Receipt Bank’s data extraction software can help you automate this task, making it nearly instant. The more you can minimise these times, the closer your clients’ books will be to a real-time view of their business. Bookkeeper:Client Ratio: This KPI shows you how many business clients each of your bookkeepers/accounting staff can service as one individual. The higher that ratio, the more customers the practice can service and the more revenue you can create – all without increasing your headcount or your payroll costs. Net Promoter Score: Ask your clients how likely they are to recommend your services to a friend or fellow business owner. This score will tell you how satisfied your clients are as well as your potential for growth. After all, happy clients are more likely to stay with you in the long run, and provide referrals. Once you begin tracking these KPIs, you’ll be able see for yourself the ROI of paperless pre-accounting. DOWNLOAD OUR NEWEST EBOOK, THE PAPERLESS GUIDE TO PRE-ACCOUNTING, FOR A DEEPER DIVE INTO HOW DIGITAL PROCESSES CAN HELP YOUR FIRM SAVE TIME AND MONEY.